Fluff accessoires by artist Claudette Barjoud! 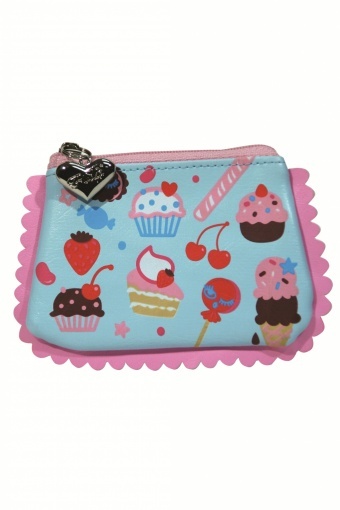 Super cute little Sweets Scallop Coin Purse. This sweetheart in faux leather has an all-over print of candies and sweets. Cute silvertone Fluff Heart Charm zipper pull. So delicious!